Tree Planting and 10 Corporate Socially Responsible CSR Environmental team building activity projects for businesses and corporate groups to participate in Sydney, Coffs Harbour, The Gold Coast. 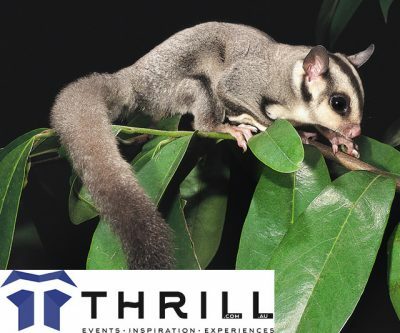 Thrill Team Growth TTG will take you onto private properties, wildlife corridors and into remarkable bushland and coastal beaches to make a positive impact on native wildlife, bush regeneration, land stabilisation. help us increase conservation values through planting trees and native plants. We conduct Ecological teamwork custom designed, professionally guiding your group with professional techniques to improve wildlife habitat. Coordinating all logistics, tools, equipment, site preparation with the team building process facilitated by Thrill events. Implement multi-skilled teamwork exercises that benefit local communities to re-create eco friendly and sustainable environments. Land Care projects in Sydney, Central Coast and South Coast NSW or Gold Coast hinterland, within rainforest pockets in SE Queensland. Coast Care projects along the beaches of Sydney, North to Newcastle and the Gold Coast. Along the South Coast through Wollongong. Clean our Beaches. 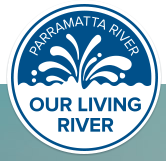 River Care along The Parramatta, Georges and Hawkesbury Rivers, Hunter River to Myall Lakes including all water catchments in and around Sydney. New is The Gold Coast Care and Coffs Harbour Care programs. Tree Planting as part of a Corporates Care Project with ongoing activations. Thrill facilitates in conjunction with local councils, companies, private land owners and local communities. Bush Regeneration projects. Unite your staff, employees and managers with relevant environmental facts, before increasing native animal wildlife corridors, nesting homes and improving passive recreation areas. A great way to build your teams positive work culture. Recycling Projects from the office to work, play and back again. We communicate great ideas that increase our ability to interact with environments sustainably. Visit recycling centers in Sydney and The Gold Coast to witness the dramatic change of reclaiming waste. Then build a Cubby House to be donated to a children’s charity with the Recycled / Reused materials. Planet Ark activity integration projects that make a positive impact on the environment. Build a Native Animal Nesting Box for your next team development, learning, meeting, off-site, conference or team development exercise. Raft Building and paddle along rivers and Lakes to help eradicate invasive weed species that are choking and killing our waterways. Water Works Charity Team Building Water Activity where your team builds a water filtration system designed to be integrated into a village community in Africa or remote communities in Australia. We have over 10 great ways for corporate groups to give back and give a helping hand to improvement the local environment. 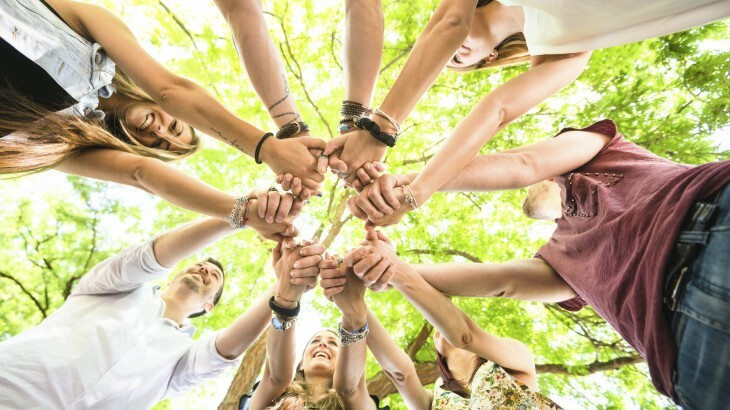 “Help us to promote corporate teams, local businesses and companies to invest their team training, leadership development and team building exercises into worthwhile community projects”. One of the greatest effect would be to have Parramatta River Swimable. We need your business teamwork to make light work of troubled areas. From bush regeneration, clean up campaigns and removal of invasive weed species. Imagine your raft team building fun team white water regatta, kayaking or canoe tour taking a little time out to accomplish cleaning local waterways. Apply Project Management skills in a real life learning activity training program that provides terrific ways to develop Managers to lead effectively. Take a break from your next conference to get outdoors mindfully. Pick up a shovel, trowel or rubbish. Thrill implements environmental team building as in-situ at your offices or conference venues to meeting off-sites throughout all locations. We value your team development to be directed into worthwhile projects. Enhancing a business team learn new skills, further develop existing relationships and improve collaborative team work. Thrill offers environmentally conscious business leaders and corporate groups, an opportunity to have their training solutions focused around real projects. 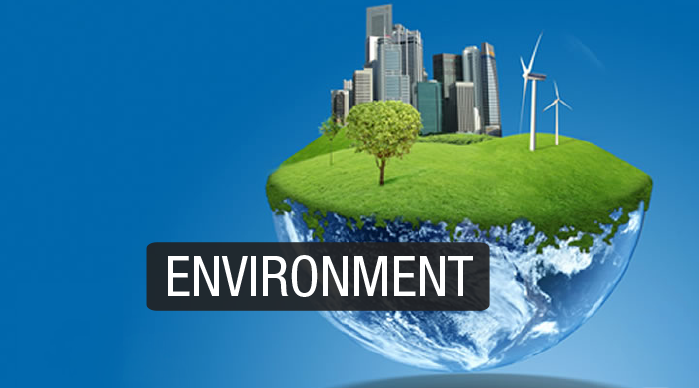 Where current environmental issues affect local communities. Teaming up with Land Care, Coast Care, Foundation for National Parks & Wildlife NPWS, Local Councils, Sydney City Council, Blue Mountains Council, Parramatta Council and The National Trust. To provide quality long term results by utilising your Team Building activities to sustain the environment. Opportunity for businesses to invest in improving local environmental problems – Become the Solution! With your teamwork and support, together we can make significant improvement. There will be a great deal of fun exploring new opportunities and time allocated to review the activities results. Translating the teamwork learnings into your workplace by our accredited facilitators, truly passionate about the environment. 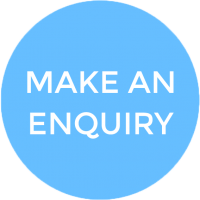 Please contact Thrill to discuss your aims and how your business can make a positive impact on environments within and surrounding; Sydney, Melbourne, Brisbane and The Gold Coast beaches to rainforest hinterlands. 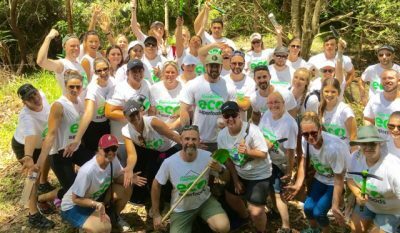 Please call Konrad Lippmann on 02 29630 2222 to discuss having your staff get into the great outdoors and contribute to making Australia beautiful. LOCATION All Locations from Indoor Conference Venues to Outdoor Experiences. From Sydney to Surfers Paradise on The Gold Coast. National Parks and Council Parks everywhere. All Locations and Bushland areas Any land that needs a helping hand to sustain people and the environment. DURATION: 2-3hrs or full day team programs integrated into staff training. We match your teams timing availability. GROUPS 10 to 100's of Employees and Staff.